Leon Mehring, a member of Marion Post 298, Department of Iowa, and a WWII veteran, received the French Legion of..
“Nobody who knew me as a young man would have picked me to become a.. In 2016, Jockey Underwear started a campaign called "SHOWEM WHAT'S UNDERNEATH". The campaign was meant to show people that there..
WWII Coast Guard veteran presents USS Machias flag to Grand Haven U.S. Coast Guard..
On March 9, 2019, a sense of pride and honor radiated through Charles A. Conklin American Legion Post 28 (Grand.. In June 2018, SAL Squadron 755 conducted its first annual BBQ for the men and women in the Manteno (Ill.)..
On Dec. 31, 2018, SAL Squadron 755 conducted its first annual New Year's Eve Party, which turned out to be..
Daddow-Isaacs Dallas American Legion Post 672, which celebrated its 80th anniversary two years ago, will conduct events to celebrate the.. The Marker White The sun illuminates your face; the shine is perfectly clear. No dirt nor dust or spec of debris is..
Lt. John Nores is a reality TV star, an author, and a warrior for the Thin Green Line who has..
A heart-rending Four Chaplains ceremony was held on Monday, February 25, 2019, at Ranger Elementary/Middle School, Murphy, N.C., with Post.. The life of Thomas E. Langenfeld was celebrated with an interment at Arlington National Cemetery January 29, 2019. Cry for the Soldiers Cry for..
October 27, 2018: On a blustery rainy day, the Hero’s Circle Monument dedication took place under a large tent..
One summer night in 2011 in Decatur, Alabama, a group of Morgan County Post 15..
Two great organizations, American Legion Auxiliary Unit 136 and the Quilts of Valor Foundation, joined in planning and executing an.. I entered the Air Force during the peak buildup of the Vietnam War in 1965. I attended Tech School..
We would like to tell you about a program we implemented in Huntingdon, Pa., to feed low-income military families once.. The American battleships may have been the targets of the Japanese at Pearl Harbor on Dec. 7, 1941, but those..
My name is Richard ( Pete) Warka . 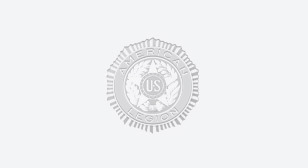 I have been a member of Post 130 in Palmer, Mass. for..
Monrovia, Calif. Jan. 23, 2019 Tonight Monrovia Troop 66 had the distinct honor to have SPC Ethan Morse (Badge #548), a former..
American Legion Karl Ross Post 16 in Stockton, Calif., had a "meet-n-greet" event for the California American Legion department commander..
Monrovia, California February 22, 2019 Star Scout Willem Aponno with Monrovia Troop 66, American Legion Monrovia Post 44 and senior patrol..
You’re the Best Grandkids in the World is for all our grandparents around the world who know in our hearts..
Col. Lewis L. Millett Memorial Post 38 of The American Legion in South Korea conducted the observance ceremony for the.. Band of America’s Few, Inc. is a non-profit organization under the provisions of Internal Revenue Code 501(c)(3) and credits its.. The American Legion District 22 of San Diego, Calif., is stepping outside and into the front doors of checking on..
On Sept. 11, 2001, I drove to my office in Richmond just as I had for the past six and..
On Saturday, February 2 - a cold, rainy day in the small Northern California town of Willits (population 4,875) -..